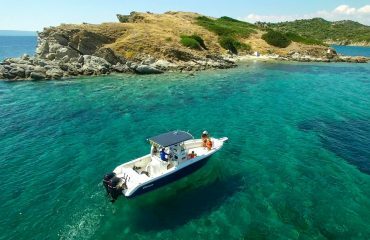 Be a captain for a day and witness a genuine ‘’Greek Summer’’, book now our rental boats, no powerboat license needed. 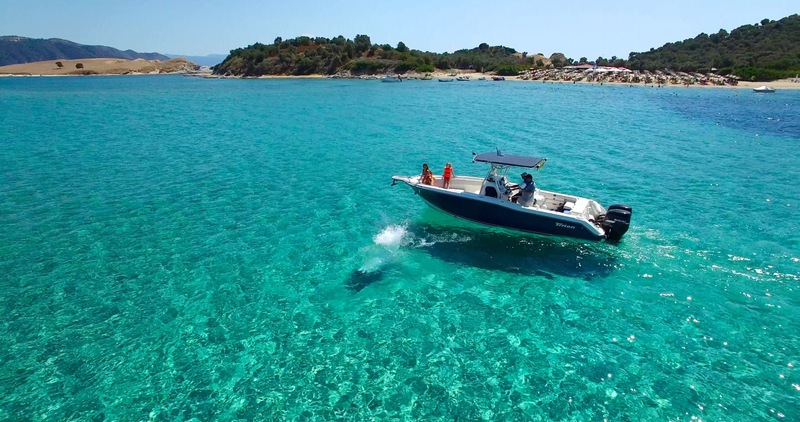 Explore small islands and remote beaches, taste Greek cuisine at the small fishing villages. 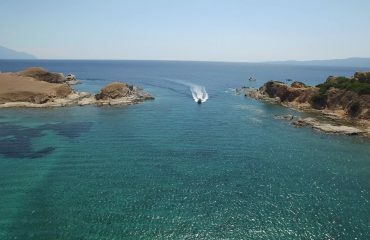 We offer the whole range of water sport activities plus all kinds of inflatable tubes. 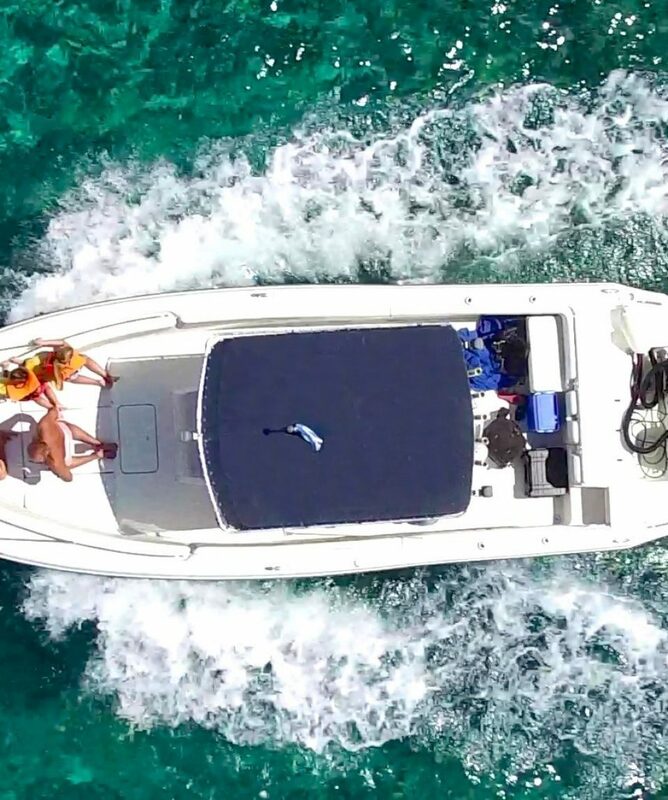 We have the best instructors and well maintained boats to make your holidays an unforgettable active experience. 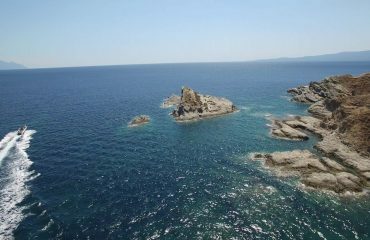 Our goal is to show you how to plan your holidays in Greece based on outdoor activities, hiking, biking, sea kayaking, sailing always with the right dose of adventure. A perfect Adventure also includes Culture & Taste! Whether you are going for Water or Earth trips, make sure you check out our add-ons! 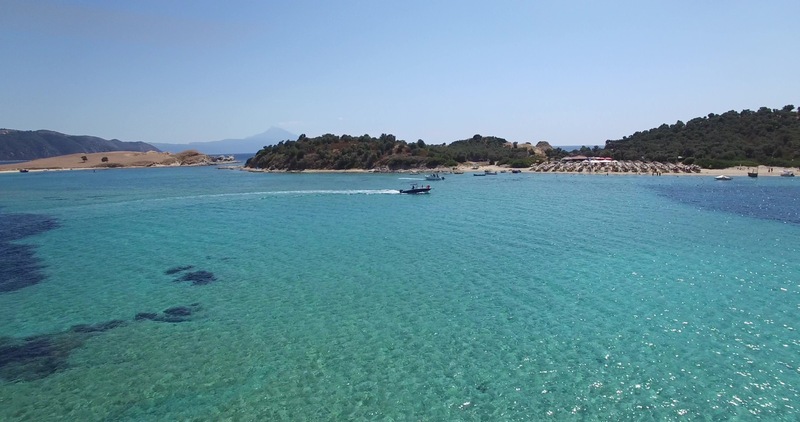 We are situated on an unspoiled beach in Vourvourou Bay in Sithonia (one of the three peninsulas of Halkidiki), our backyard is surrounded by rocky islands, caves, crystal waters, sandy beaches, and pine tree forests. In Greek mythology, Mt. Olympus was home to the 12 Gods of the ancient world. Nowadays the mountain, which is the tallest one in Greece, is a darling for hiking journeys and mountain adventures. Zagori is a region of astonishing beauty in Epirus region. The area has an amazing geology, filled with traditional arched stone bridges, rivers and interconnecting paths. Pindos sierra is a pure hiking destination for the adventure seekers. 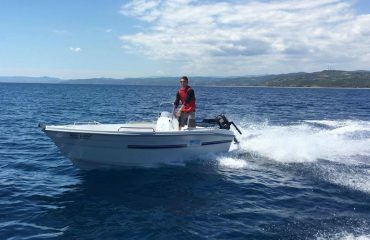 You will need a valid motorboat driving license to rent this boat! 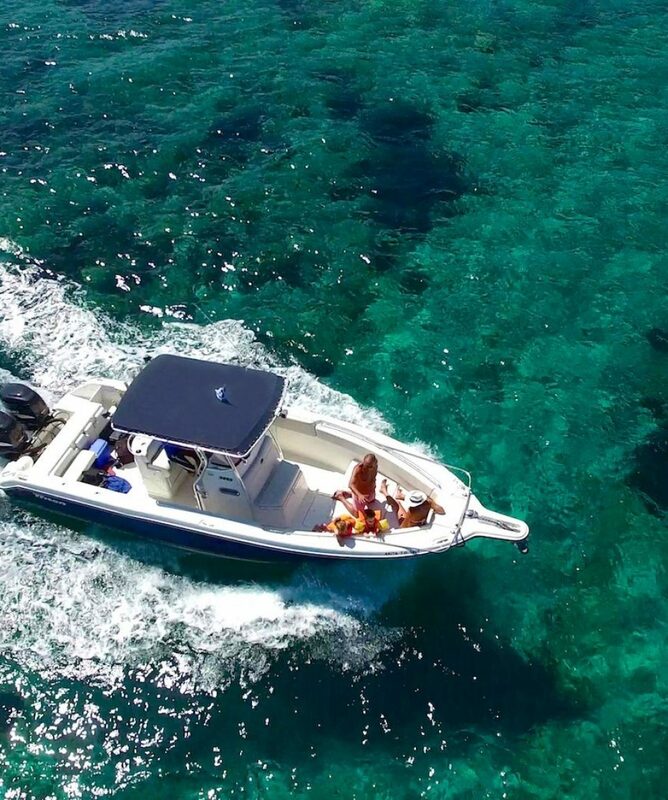 We offer a wide range of brand new motorboats ready for you to rent daily at the best prices! 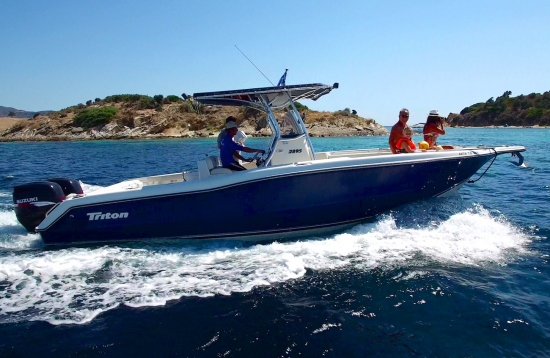 All about the Poseidon 115hp Rental Boat. Be your own captain! Rent now our brand new fleet! 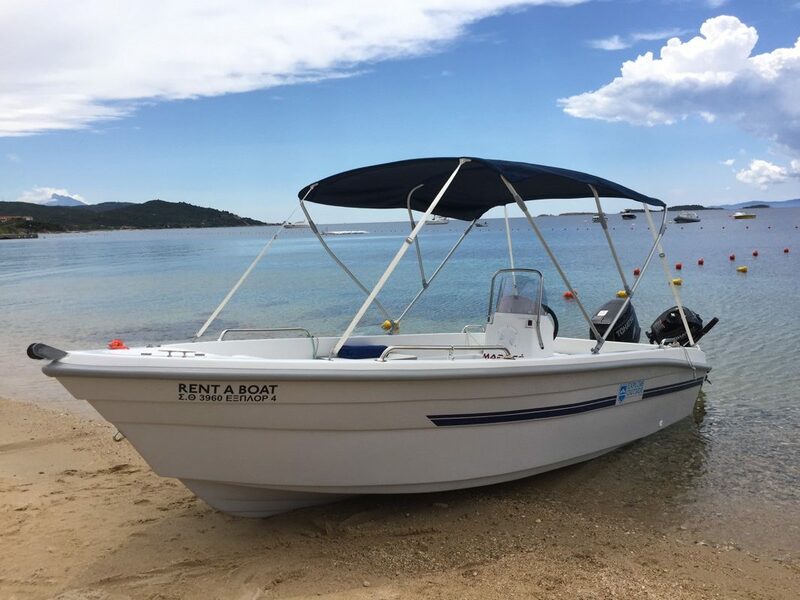 Renting a boat is ideal for you who want to be your own captain and explore these magnificent waters and beaches in your own time. The peninsula is a heaven for exploration, welcoming guests to its astonishing coasts. 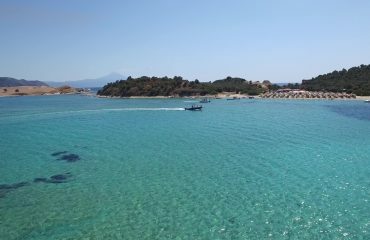 Take charge and witness a genuine ‘’Greek Summer’’. Book your now! 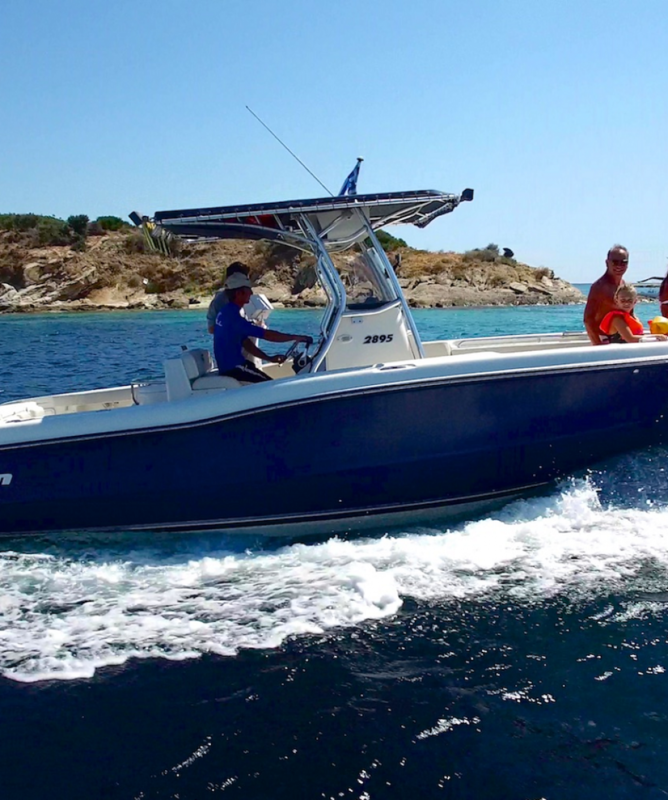 To visit Diaporos, you can pick up your boat at 2 locations in Vourvourou. At Ekies Resort and at the centre of Vourvourou village. 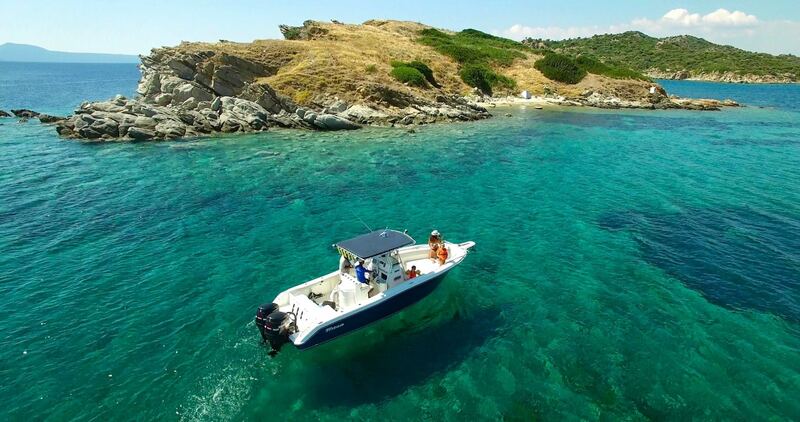 Diaporos island is a small island with great beauty which is located just across Vourvourou. 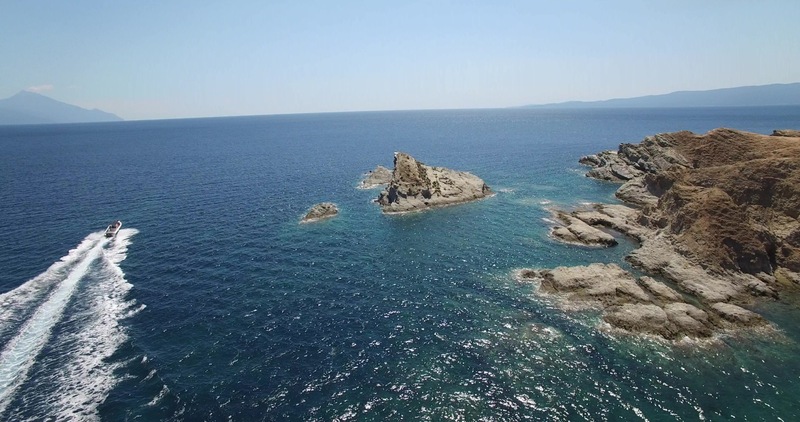 On the island extends a huge natural gulf of 700 meters length. Because of the shallow waters, the sea around the gulf remains always warm making the island a perfect destination for the winter swimmers. The Byzantine ruins at “Krifto” gulf reveal the long history of the island. Last but not least, the nature and the green pines that cover the whole island together with the crystal blue waters create a peaceful summer scenery. 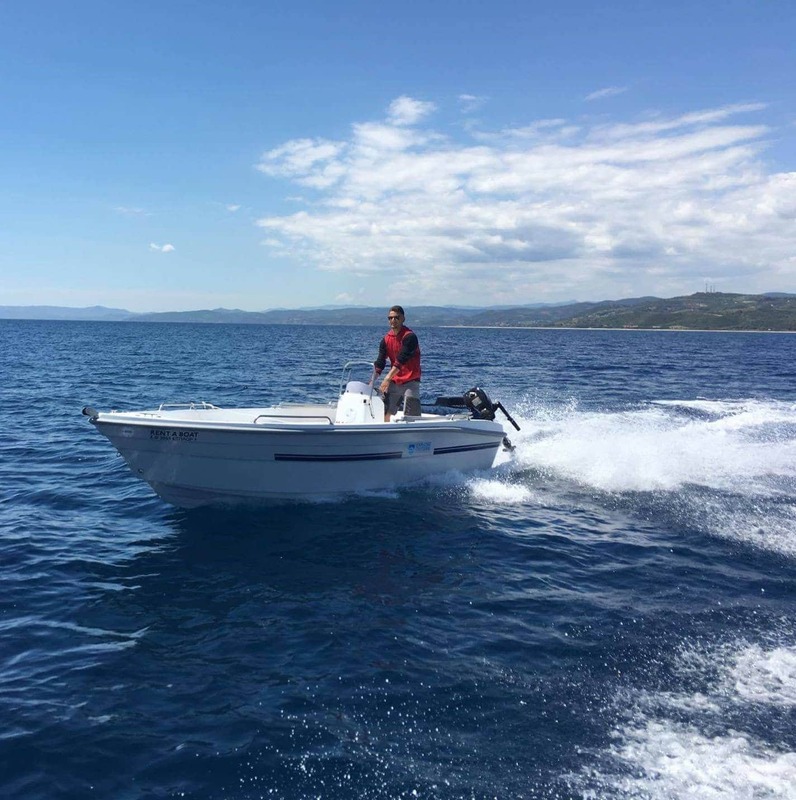 To visit Ammouliani, you can pick up your boat at Eagles Palace resort where we are based. 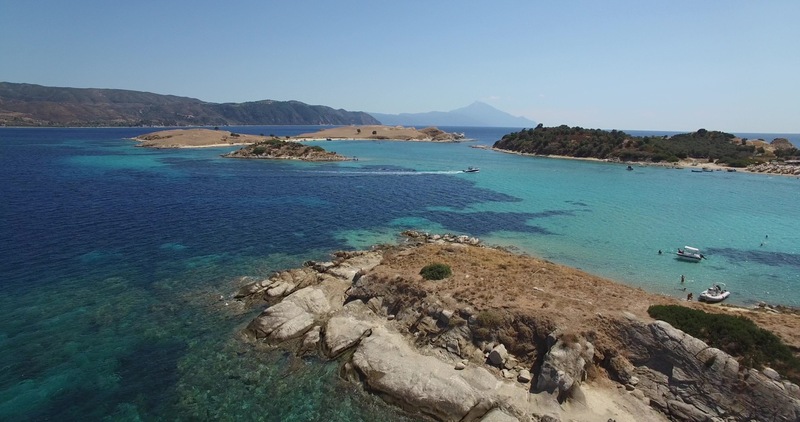 Ammouliani is a small, yet astonishing island right across Mount Athos peninsula. Tradition is evident all throughout the island, with original folklore houses, trademark gastronomy and typical small gardens filled with astonishing natural goods. The very first settlers arrived back in the 1920’s, with roots from Minor Asia, bringing their cultural heritage with them. 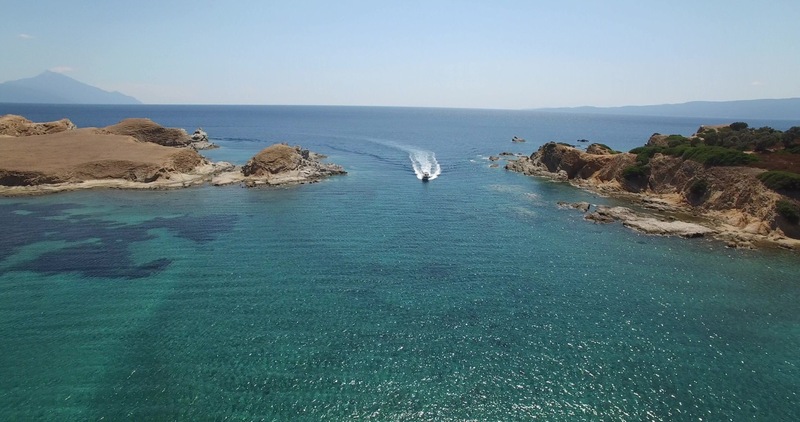 Isolated and magnificent beaches, vibrant food & entertainment options, and a mix of impressive vegetation & giant rocks make up for the ideal escape to the sole inhabited island of Halkidiki. 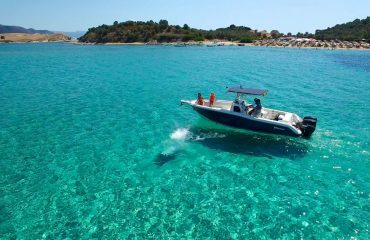 The Donkey Islands, also known as the Drenia Islands, are constituted of 6 beautiful small islands filled with incredible sandy beaches on a picturesque ‘’Greek summer’’ setting. Only one of them is inhabited. 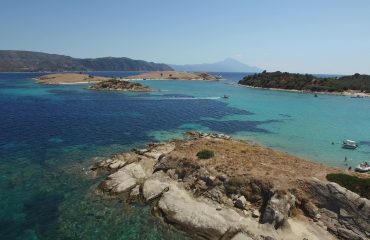 The Donkey Islands are an oasis of 6 spots of land placed upon the vast big blue of the world-renowned Greek seas. Their folklore name is attributed to the legend that locals used to bring their very old donkeys to the islands in order for the animals to die in a magnificent setting. 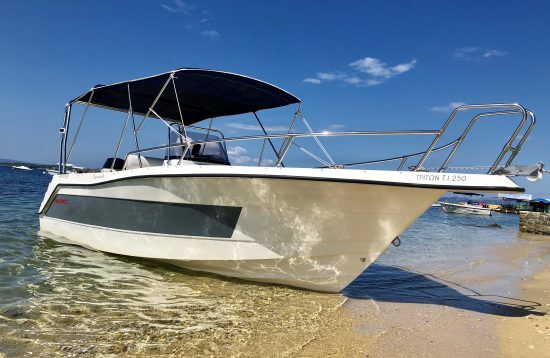 Do I need a motorboat driver’s license to rent a boat?For how long can I rent a boat?Are there any limitations to where I could go with the boat?What is not included in the rental price?Which is the best period for this cruise?Can I reschedule or cancel my booking? 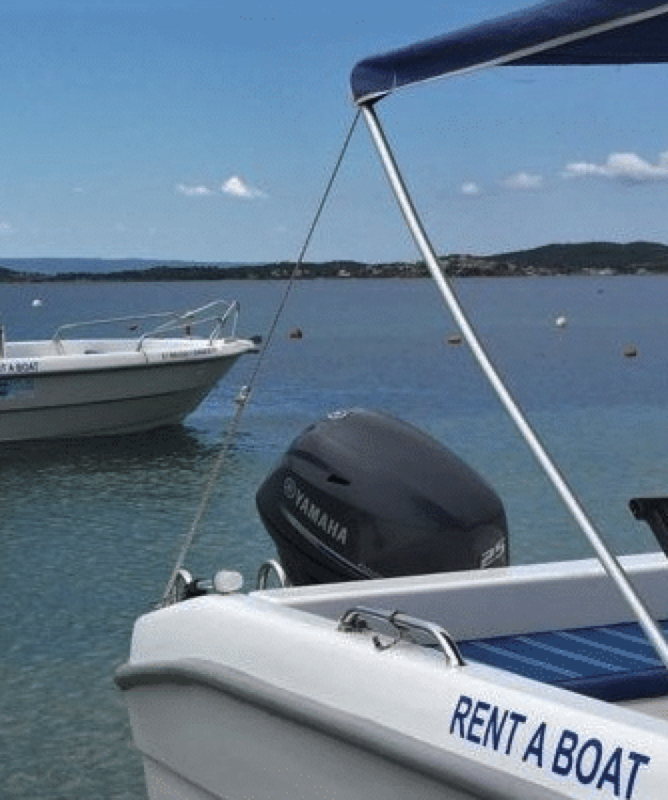 Do I need a motorboat driver’s license to rent a boat? For how long can I rent a boat? Are there any limitations to where I could go with the boat? Which is the best period for this cruise? Can I reschedule or cancel my booking? All our trips are offered as self guided. This means that you can go whenever you want, either alone or with the company of your choice, you can keep your own pace and choose a less or more demanding version of a trip. 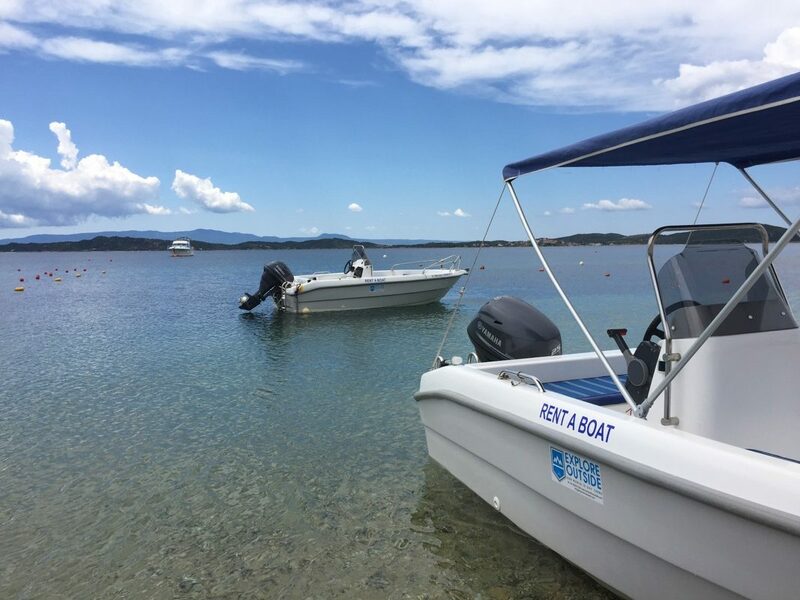 In any rental boat, terms and conditions apply according to the owner and you will need to abide with the Port Authority Rules and Laws. Gas is not included in the rental price, as well as a captain.